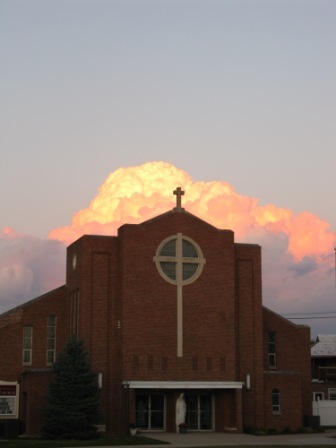 We are a Roman Catholic parish located on the east side of Allentown on Hanover Ave., just south of the Lehigh Valley International Airport (ABE). Our parish was founded in 1927 by Rev. Msgr. Joseph Mathis to care for the people of Rittersville, East Allentown and the Catholic patients at the Allentown State Mental Hospital. As the parish grew a school was built to pass on faith, values, and a quality education to our children. The parishioners of Our Lady Help of Christians are a friendly welcoming community. 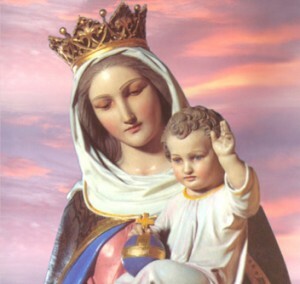 We place ourselves under the patronage of our Blessed Mother, Mary. We strive for holiness knowing we are sinners in need of God’s great love and mercy. We find happiness in doing God’s will. Every day we pray for each other, our community, our country, and all people. We pray for God’s protection and blessing… and we ask for your prayers too! Perhaps you’d like to join us for our Annual Tricky Trays, or any of our social activities: Golf tournament, Basket Bingo, Senior Club trips, and a host of other activities. Of course Jesus, The Eucharist, is the center of parish life. We welcome your participation each weekend and whenever you can be with us. Come and see what the Lord can do in a life faithfully dedicated to Him. It is not by chance or coincidence that you are reading these words. God has a plan! Pray about what God has in store for you. May the Holy Spirit bring each one of us closer to Christ, His Church, and to one another. Enjoy browsing through our parish website. If you are new to the area I welcome you warmly to our parish! Please check our schedule for weekend Masses, and feel free to contact the parish office with any question or concern that you may have. Thank you for stopping by to visit us here at O.L.H.C. Parish! In His name I welcome you.